Will Cicada3301 pierce the world’s skin this year? Long-time reader and puzzle author David J. Bodycombe mentioned Cicada3301 to this site a while ago. This was a source of puzzling entertainment for the world from 5th January 2012 onwards, with further trails of puzzles being launched on 5th January 2013 and 5th January 2014. (Not on 5th January 2015, though, but arguably some loose ends remain from 2014.) Some sources quote 4th January as the crucial date in each of those years, depending on the timezones; in any case, you can imagine why today is an opportune time for this site to bring the topic up. 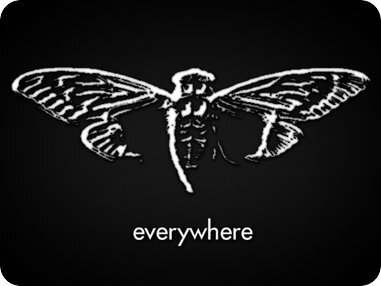 The Cicada3301 content could be characterised as a series of messages, many of which had hidden content, often ciphers encrypted with steganographic techniques. Famously, at one point, a list of pairs of co-ordinates were revealed pointing to the locations of 14 posters that had been stealthily erected about the continents of the world. People tended to treat the investigation process at least mostly co-operatively, in a fashion akin to the way people play Alternate Reality Games, with no obvious prize for those who made it all the way through. There are a few different places to look for further information about the Cicada3301 phenomenon. An article in Rolling Stone focuses on the experience of some of those who delved most deeply into the first round of puzzles, and what happened as a consequence. The US National Public Radio service ran a piece, too. To get a full run-through of the solving process, the Wikia site is probably about as comprehensive as it gets; the phenomenon is discussed online at, gasp, 4chan, but the subreddit also seems pretty well-informed. Now the world must wait and see whether there’s anything new for it in this regard for 2016! Grand Prix season is GO!